Design-Build isn’t just easier—it’s better. It streamlines the roofing process; you sign one contract and have one point of contact from start to end. With the designer and the contractor on the same team, solutions to your roofing problems are addressed quickly and without conflict. In fact, in comparison to the traditional design-bid-build delivery method, Design-Build speeds delivery by about 33.5 percent. 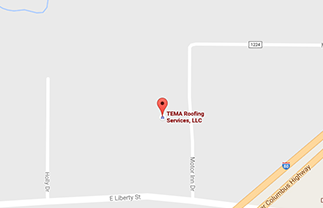 At TEMA Roofing Services, our decades of experience give us the insight to understand that no roofing project is “standard.” Change can—and will—happen. By using the Design-Build method, we anticipate possible change-orders from the outset of design discussions, issuing one solid contract price to our clients. We design, then evaluate contractors, and then get to the nitty-gritty of replacing or repairing your roof. We’ve been providing our Design-Build roofing services to customers for more than 30 years. To us, the benefits of this delivery method boil down to two factors familiar to every business, regardless of industry: time and money. The designer and contractor present a unified front. Possible change-orders are anticipated and planned for from the outset of design discussions. Because owners interact with a single contact on the contractor side, they’re no longer forced to act as arbiter for disagreements on points of confusion between various subcontractors. This means fewer change-orders and a faster turnaround on project completion. Because you sign one contract in the Design-Build method, you don’t have to involve outside architects or engineers or the fees and delays associated with their conceptual plans. This lengthens the process (and increases the cost), as they put their designs out to bid with document preparation, pre-bid meetings, contract selection, negotiation and so on. Learn how TEMA’s Design-Build method of roofing can simplify your project. Give us a call today, or fill out the form below for a free quote. Our business is built upon trust. And, in some cases, repair and restoration can save clients from the large cost associated with a complete replacement. When 30% of your roof has issues, you should replace it. The professionals at TEMA can help you make that decision. With over 50 million square feet of commercial roofing installed in our history, TEMA has the experience needed to deliver a high-caliber project. Keep costs within budget while getting a quality, long-lasting roof system for your existing building. Commercial metal roofing and siding is one of the toughest and most durable solutions for protecting your building. Even though there are many options out there, when it comes to your business, workshop or industrial facility, you want something that’s going to serve with distinction for an extensive period of time. TEMA identifies the scope of work before quoting a project to ensure that when we are hired, you know exactly what you’re getting. Our expert contractors complete all types of commercial installations: coal tar, EPDM, PVC, TPO, EIP, modified bitumen, asphalt, and metal. TEMA Roofing Services’ strict compliance standards and competitive bidding requirements set the stage for its partnership with The Interlocal Purchasing System (TIPS), and now, TEMA’s services can be obtained with the benefit of co-op purchasing for the public sector—giving access to design-build services without the bid process! Before you hire us, you’re entitled to a free quote—just enter your details below to get started.